Chronic stress may cause hormonal imbalance, lowered egg and sperm health, as well as create a lack of libido. Herbs that support healthy stress response, nourish the nervous system and support endocrine function are important. The below herbs will help: 1. Ashwagandha root (Withania somnifera): Both a nervine and adaptogen, it works to re-regulate thyroid and adrenal gland function. It also supports overall endocrine system function for improved stress response and hormonal balance. 2. Bee Pollen/Propolis: Bee pollen has been reported to have great results in boosting immunity and fertility. Bee propolis has been found to support healthy immune, inflammation and stress response in the body. 3. Chamomile Flowers (Matricaria recutita): This herb is a nervine and mild sedative it may help to reduce stress, relax the nervous system and induce a restful state in the body. 4. Eluthero Root & Stem Bark (Elueutherococcus senticosus): The herb strengthens the immune system and is a great option for people under severe stress. This herb helps people feel better, perform better, and recover from immune suppression more quickly. 5. Fo-ti (aka Ho Shou Wu or He Shou Wu) Root (Polygonum multiflorum): It helps to restore jing (life essence). The herb supports both thyroid and adrenal function, both of which are extremely important and sensitive to stress. The vine and leaf are sometimes used to aid stress, nervous tension, and insomnia. 6. Lemon Balm Leaf (Melissa officinalis): It offers excellent nervous system support. It also favors healthy stress response, lessens depression, and anxiety. 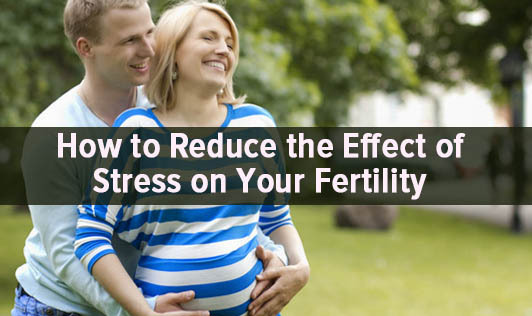 Good emotional health, and stress response is important prior to conception. However, the herb should not be used by people with hypothyroidism. 7. Linden Flower & Bract (Tilia platyphyllos, T.cordata): The flower mildly lowers blood pressure, reduction in depression, supports nervous system function. Gentle and safe, it is also a great choice for overcoming anxiety, depression, and insomnia. 8. Maca Root (Lepidium meyenii): Maca is a nourishing food for the endocrine system, aiding both the pituitary, adrenal, and thyroid glands (all involved in hormonal balance.) It is supportive of both immune and stress response on the body. 9. Motherwort Aerial Parts (Leonurus cardiaca): Motherwort is used to promote blood circulation, lower cholesterol, slow a too rapid heart rate, and relieve stress on the heart muscle. It supports heart health, reduces anxiety. 10. Schisandra, Fruit & Seed (Schisandra chinensis): An adaptogen, it supports healthy hormonal balance through endocrine system support. It also promotes proper immune and stress response. Shatavari Root (Asparagus racemosus): Not only does this herb support healthy fertility, it is an immune system and nutritive tonic. It also supports overall immune system function.